Launched this week, the Registered Charity Tick is a visible symbol of credibility for prospective and current supporters of charitable organisations reflecting the charity’s compliance with statutory financial reporting and governance requirements. Registered with the ACNC since its inception in 2012, Bravehearts proudly boasts an unblemished record in meeting the reporting standards required by the commission and welcomes the introduction of the new symbol. “Bravehearts is a well-respected Australian charity and has been supporting children and their families and working to prevent sexual assault for two decades and we welcome this initiative by the ACNC,” says Bravehearts Founder Hetty Johnston AM. “High level governance and best practice management has enabled Bravehearts to maintain its position as the leading child protection organisation in the country and it’s a privilege we take seriously. With the 2016 Charity Reputation Index showing public trust in the sector at a six-year high, the Registered Charity Tick is expected to provide an added layer of security for those wishing to donate. 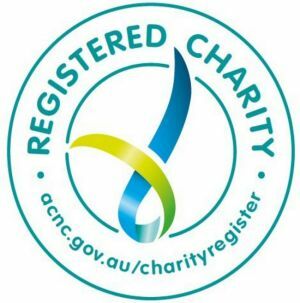 So far this year, more than 450 charities have been deregistered for failing to meet the ACNC’s standards with another 3239 organisations on notice. For further information regarding the Registered Charity Tick, please visit the Australian Charities and Not-for-profits Commission.